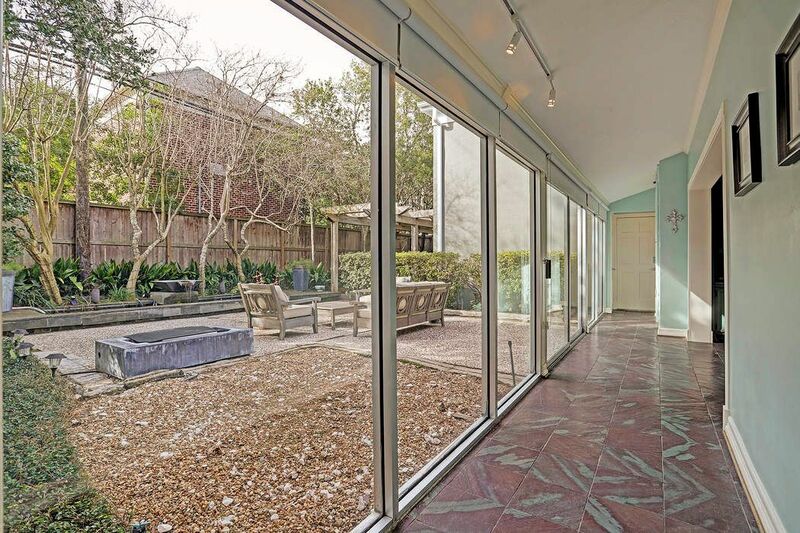 3044 San Felipe Street, Houston, TX 77019 | Martha Turner Sotheby's International Realty, Inc. 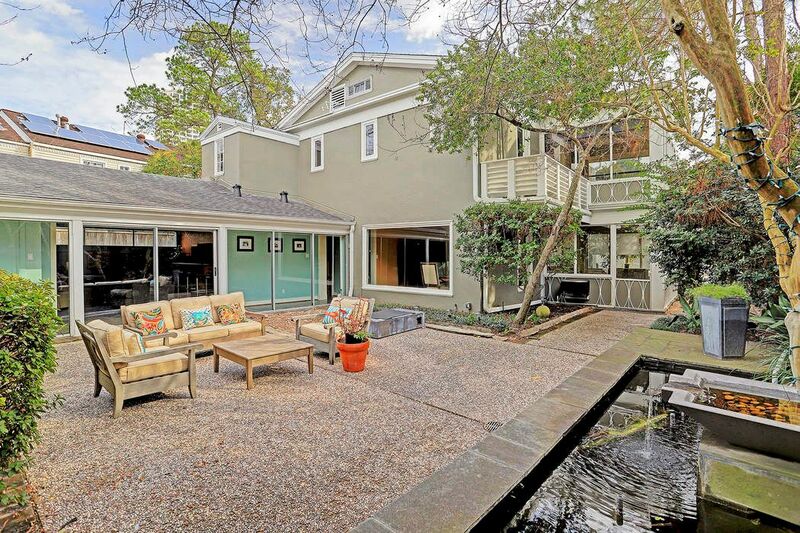 Fantastic opportunity to live in a beautiful historic home in River Oaks! 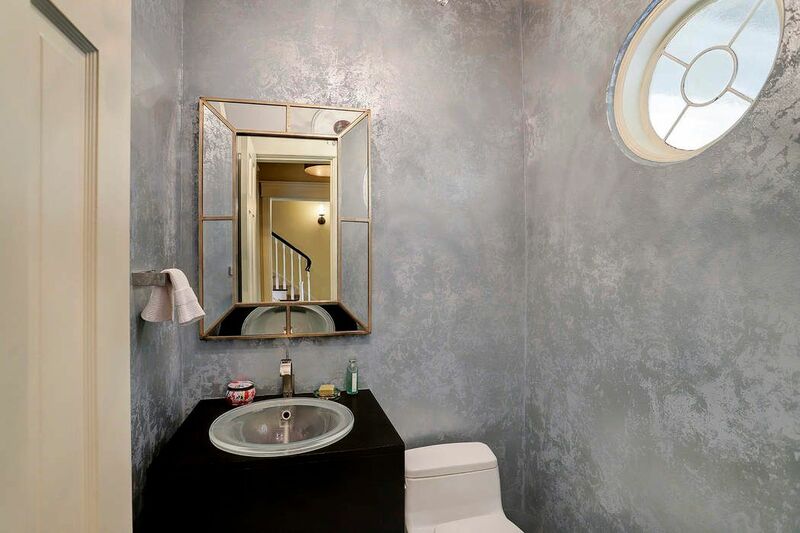 Designed by noteworthy Houston architect Cameron Fairchild for his private residence. 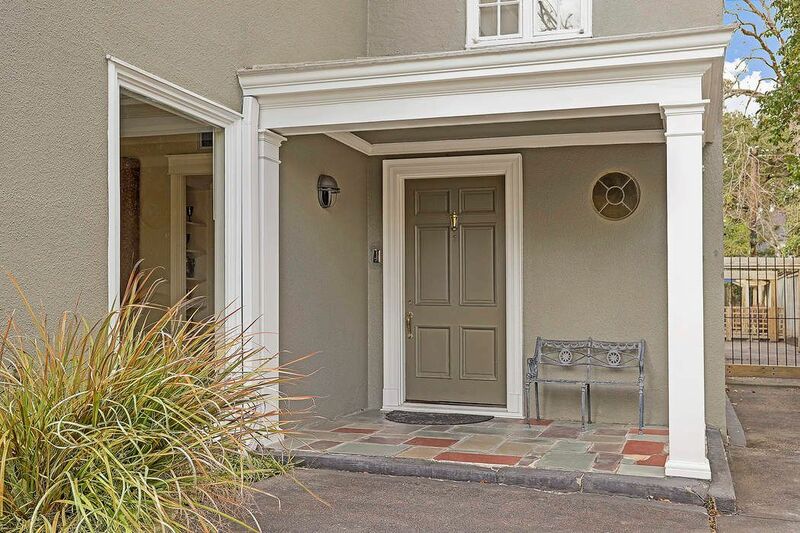 This light-filled property has a wonderful, flowing floorplan with perfectly proportioned rooms, charming original details, yet nicely updated for modern living. 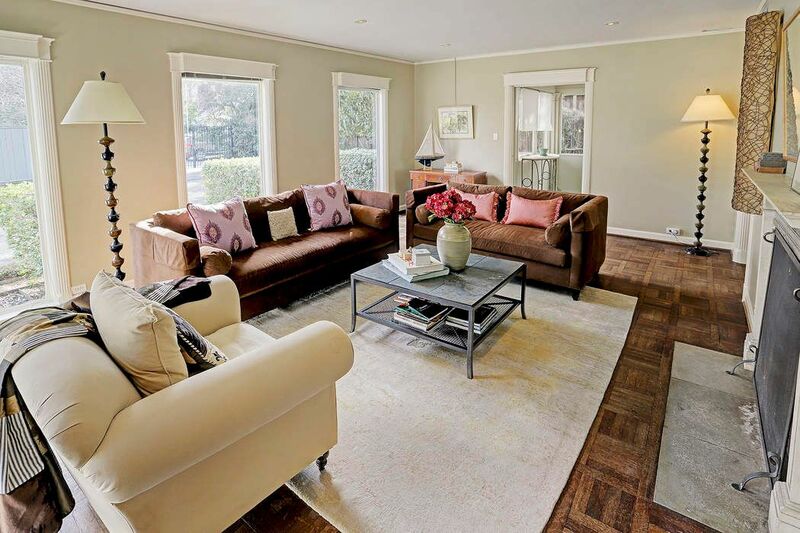 The formal living room offers solid oak parquet floors, oversized windows with fluted molding, recessed lighting, picture molding and fireplace. 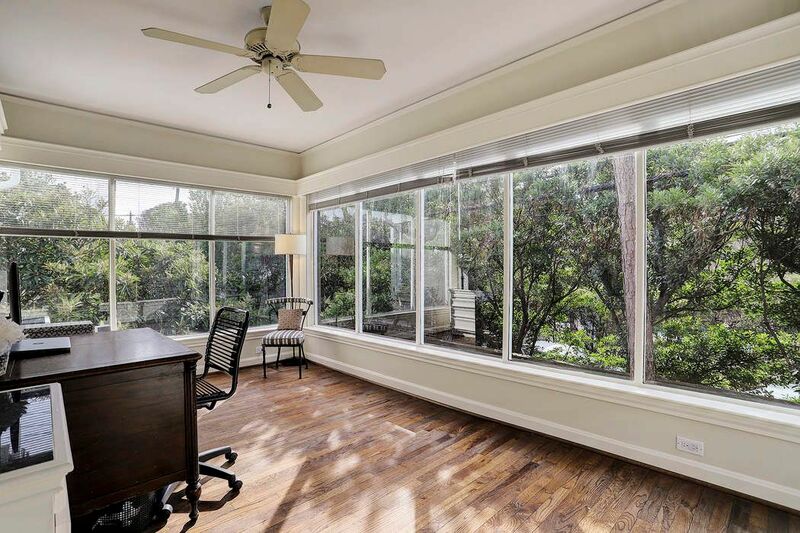 Light filled sun room off the formal living room. 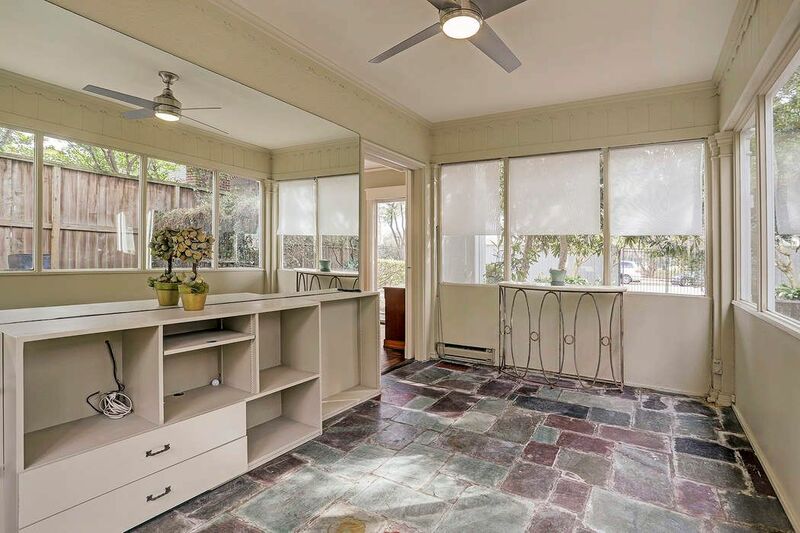 This room that sits between the entrance and kitchen can be used as a mud room or sitting room. 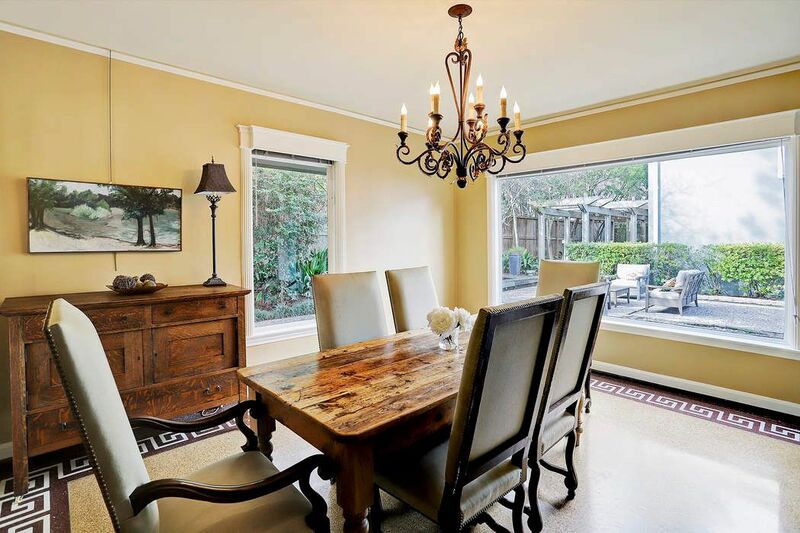 Elegant dining room, with tile floors and chandelier, overlooks landscaped courtyard with koi pond. 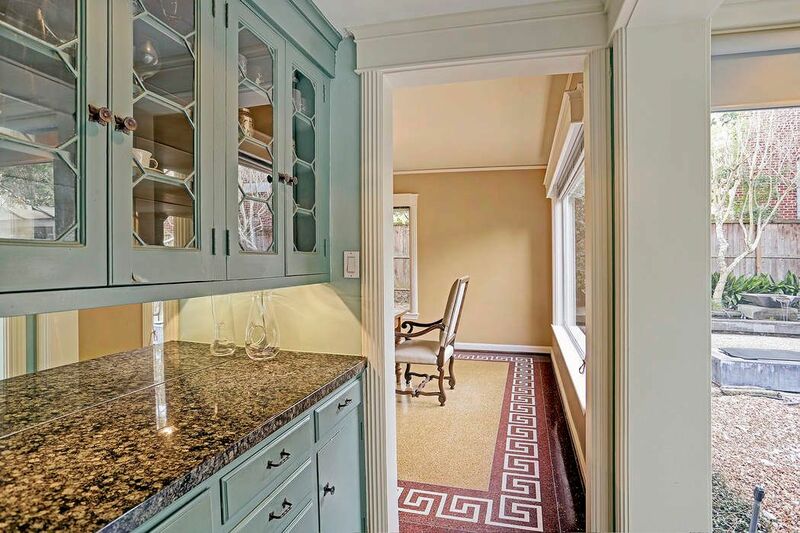 Butler's pantry with glass from cabinets sits between the dining room and kitchen. 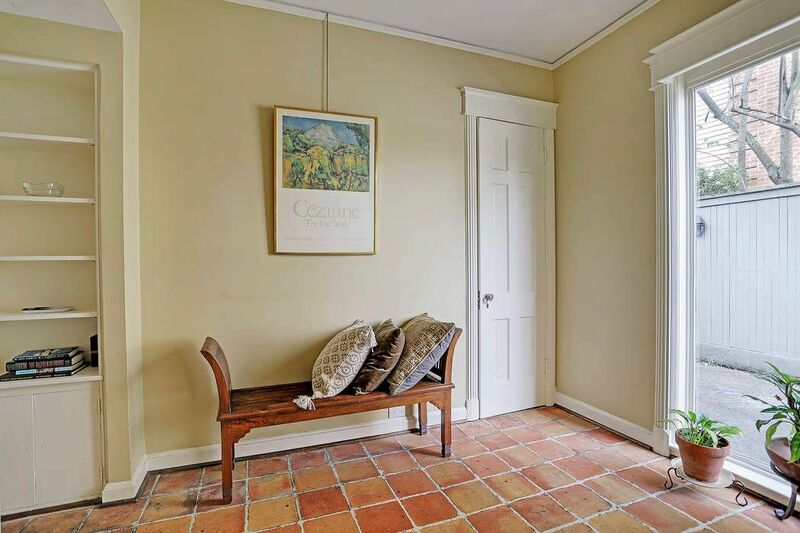 Hallway with tile floors, track lighting and views to the landscaped courtyard with koi pond. 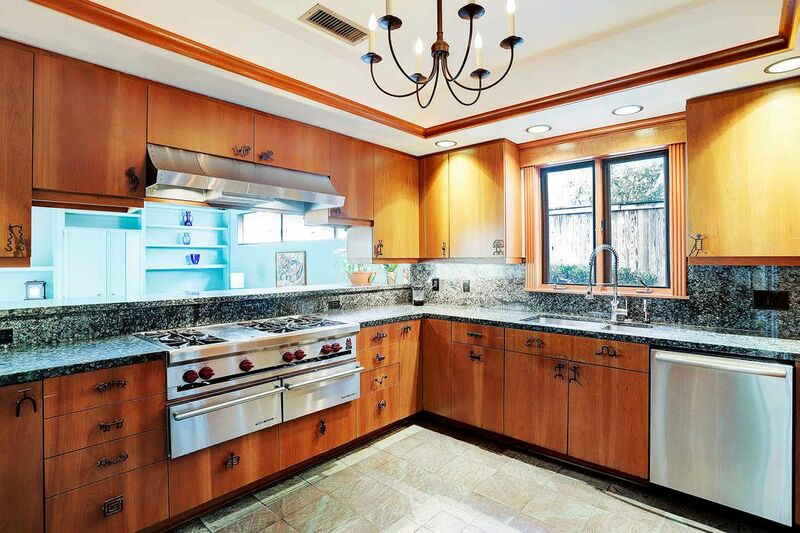 The kitchen has been nicely updated with abundant storage, granite counters and stainless appliances and is open to the large family room. 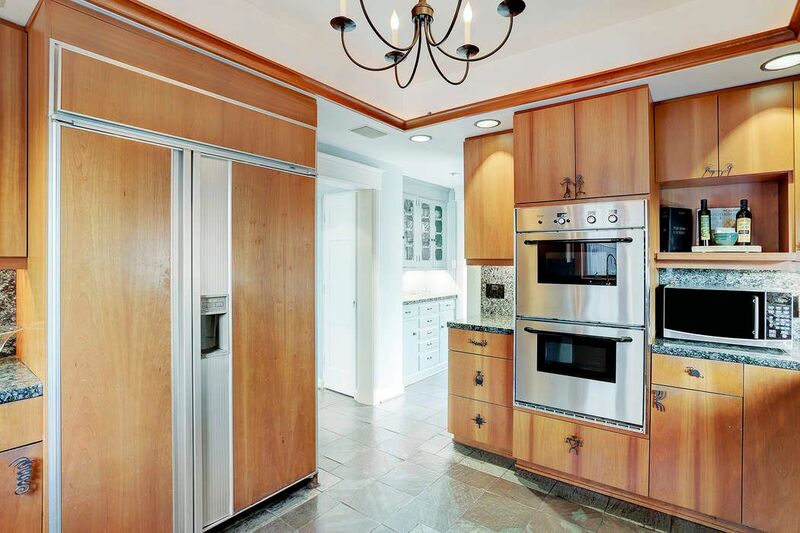 This kitchen has tile floors, built-in fridge and chandelier. 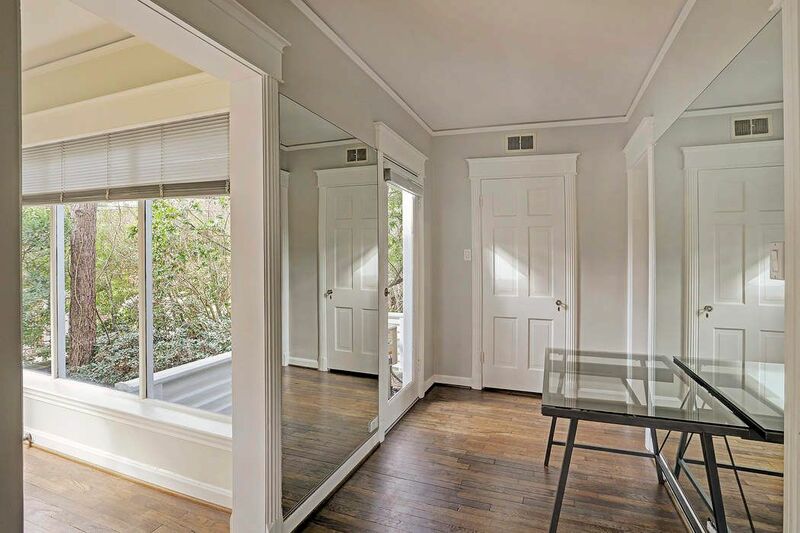 The master suite entrance with hardwood floors, crown molding and mirrored walls. 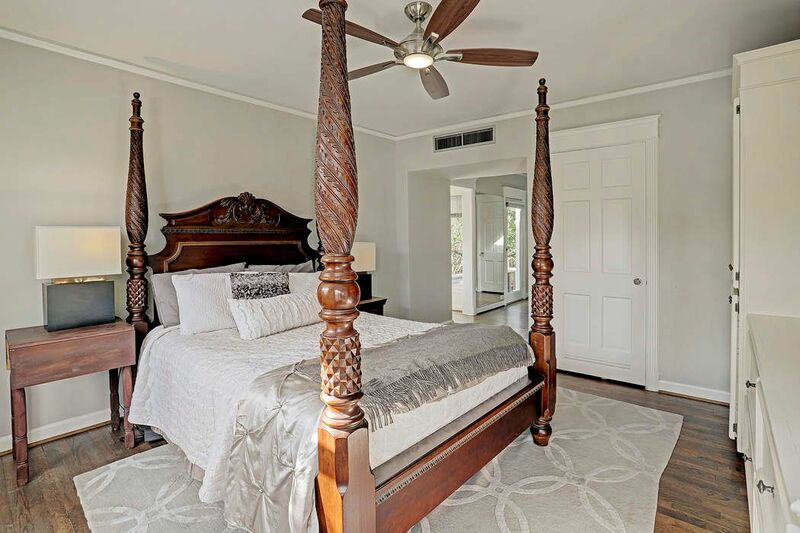 Master bedroom with hardwood floors, crown molding, nice built-in storage and ceiling fan. 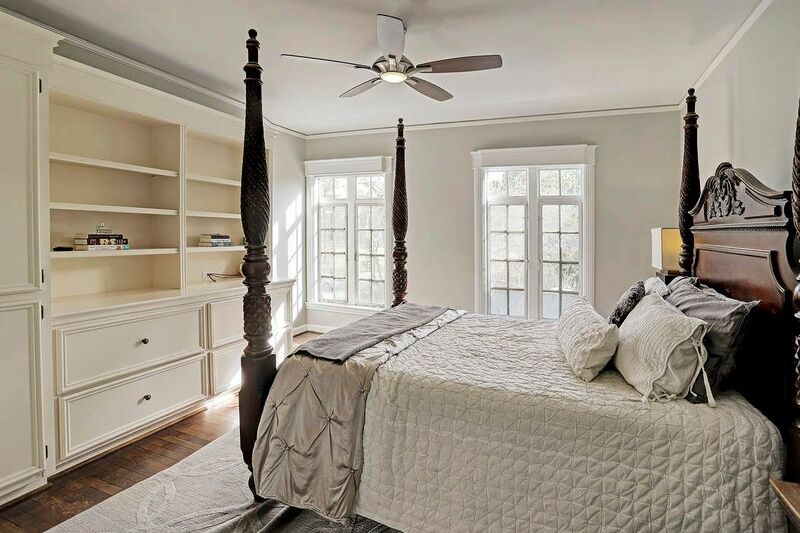 Wonderful natural light in the master bedroom. 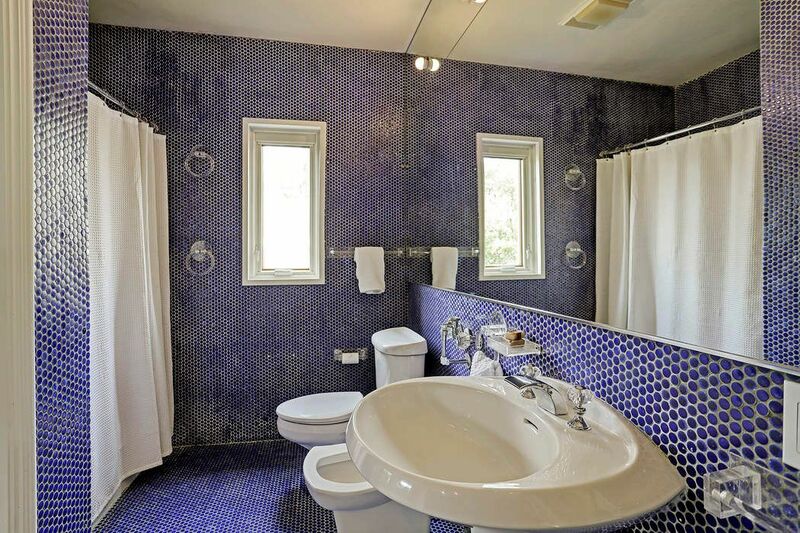 Master bathroom with beautiful vintage tile, bidet, single sink and tub/shower. 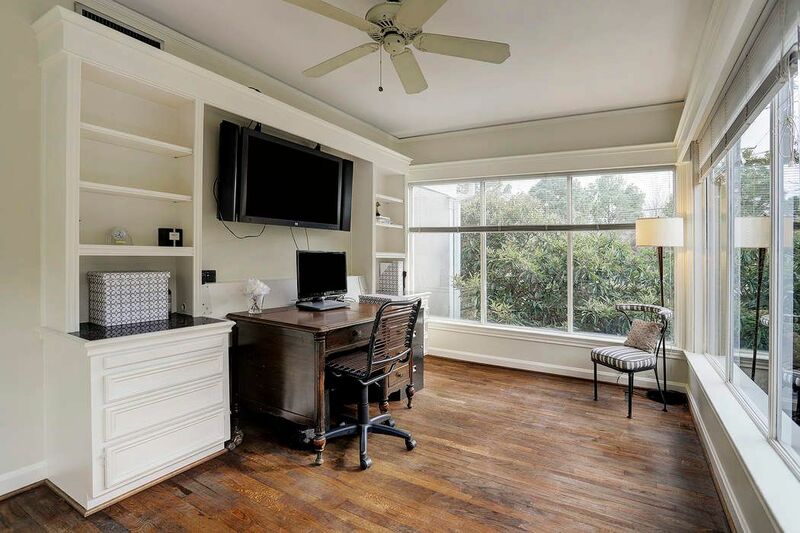 Master suite includes a study with hardwood floors, built-in storage and an abundance of natural light. 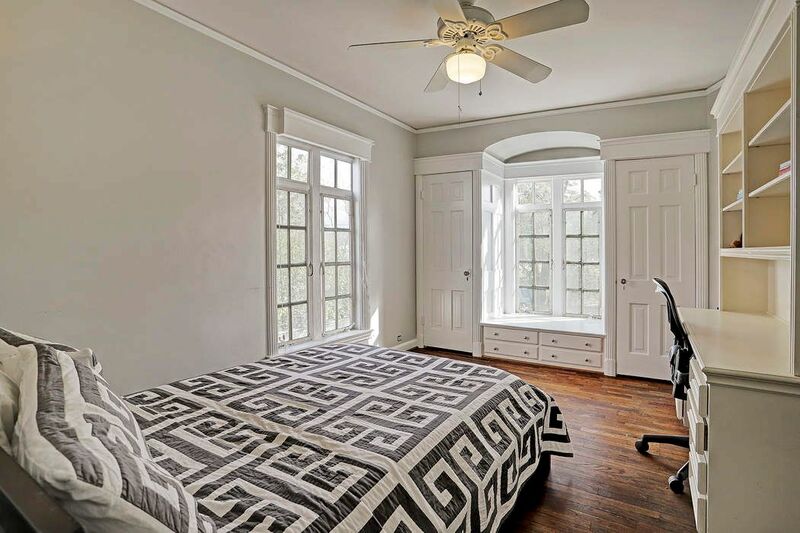 Secondary bedroom with hardwood floors, crown molding and ceiling fan. This bedroom is en suite. 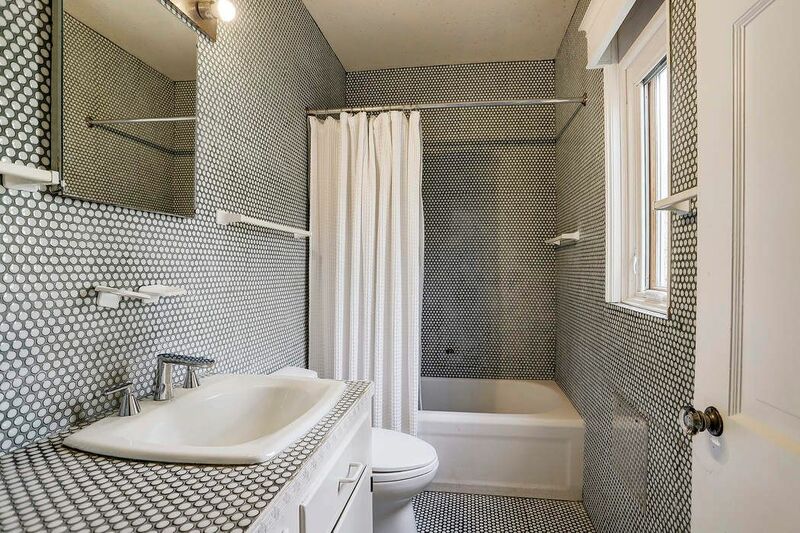 En suite bathroom with gorgeous vintage tiles, single sink and a shower/tub. 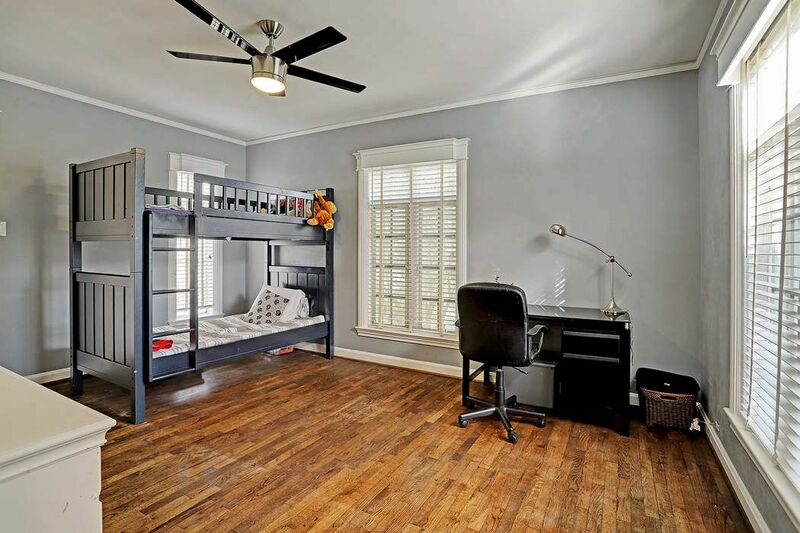 Secondary bedroom with hardwood floors, crown molding, built-in storage and desk, and ceiling fan. 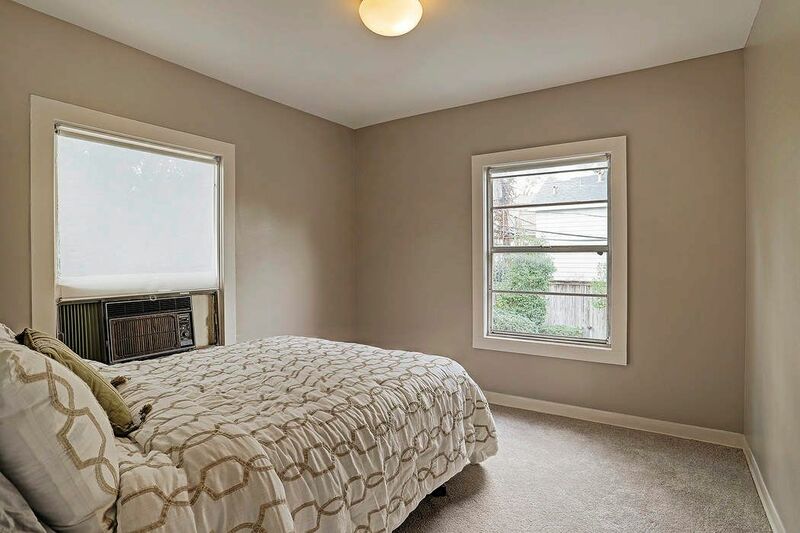 There are quarters in the rear of the house with 2 bedrooms and full bath. 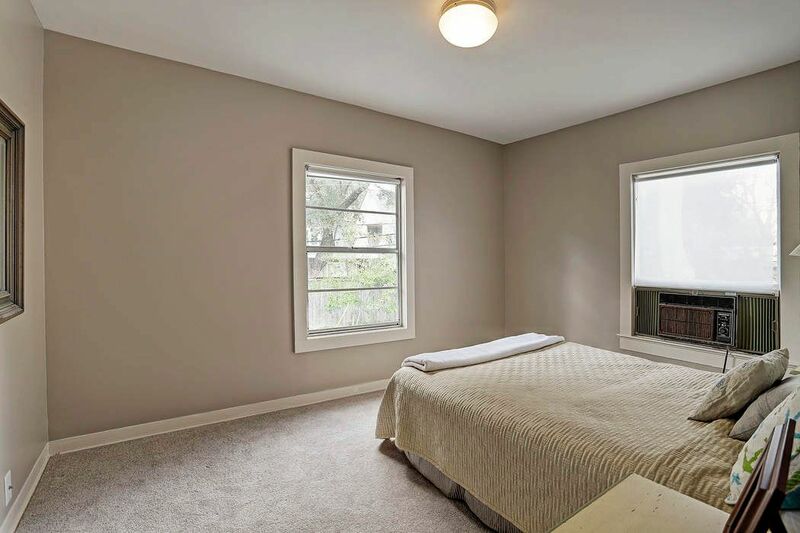 Second bedroom in the quarters with carpet and nice natural light. 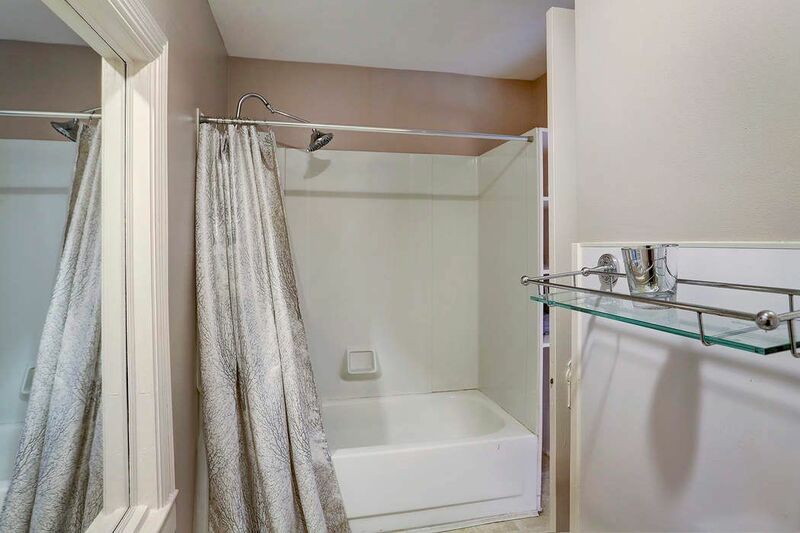 Full bathroom shared between the two bedroom in the quarters. 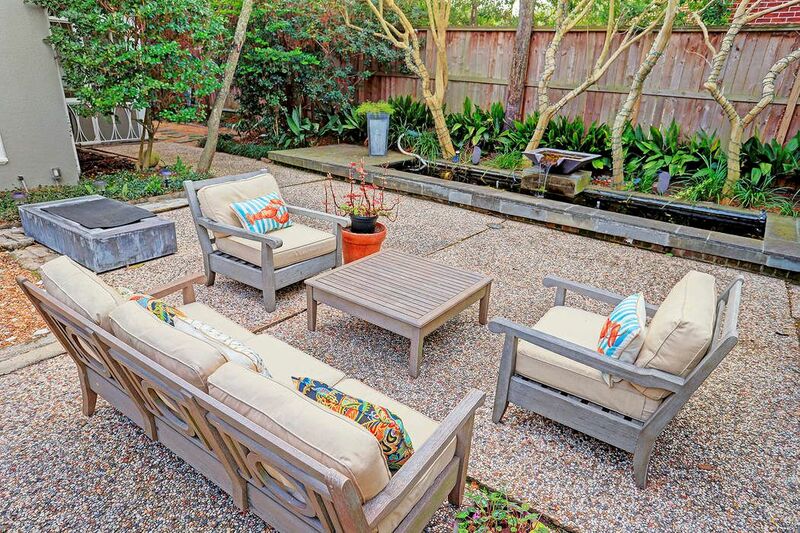 Beautifully landscaped courtyard with a koi pond and fire pit. 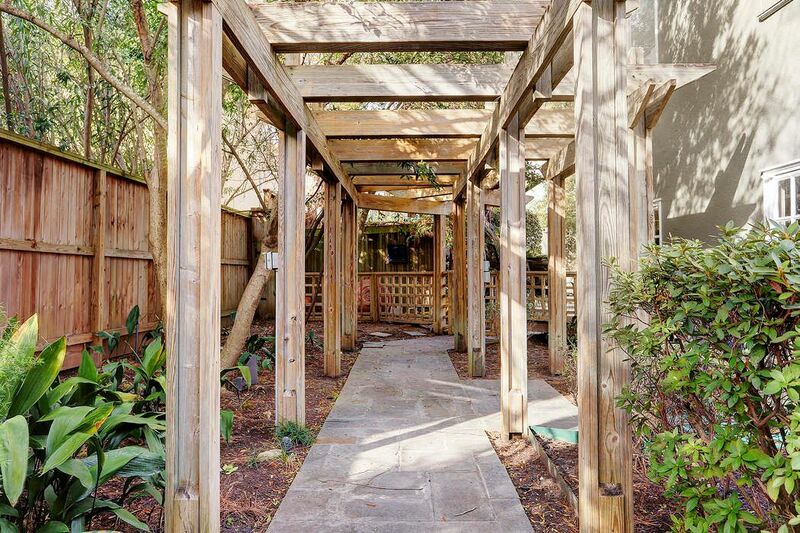 Walkway leads to the backyard and pool. 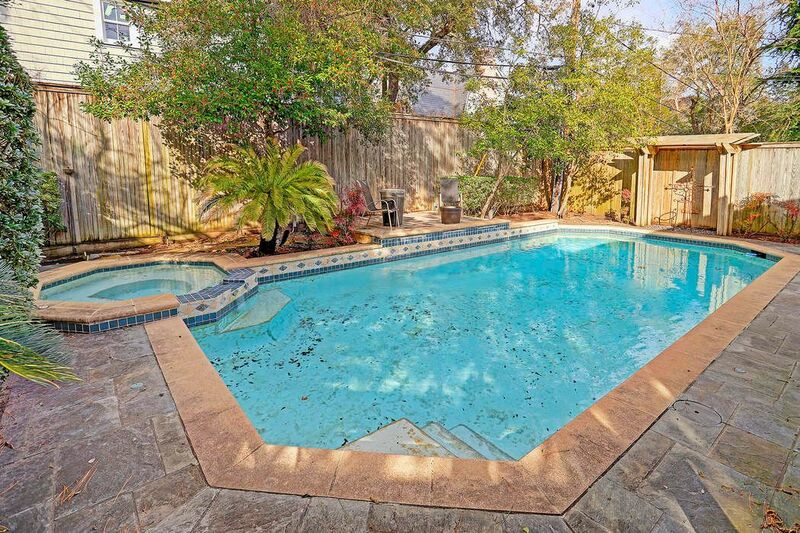 Lovely backyard with sparkling pool is a private oasis! 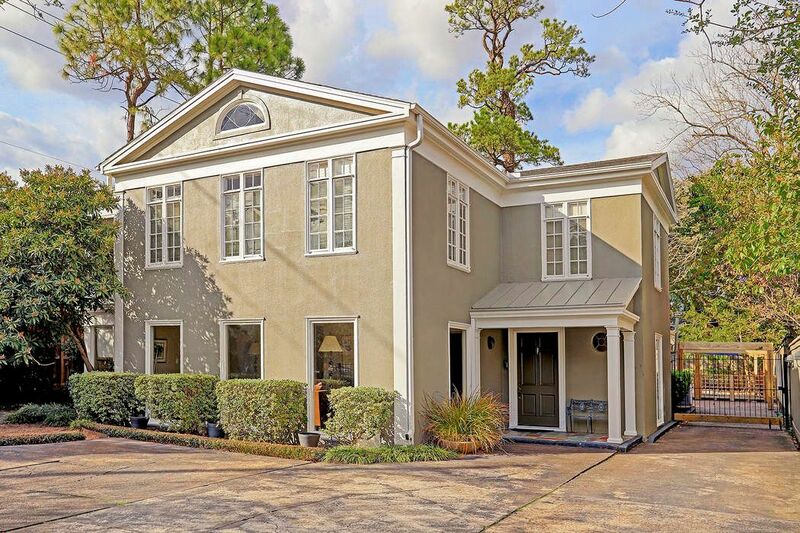 $1,399,000 4 Bedrooms3 Full / 1 Partial Baths3,355 sq. ft. 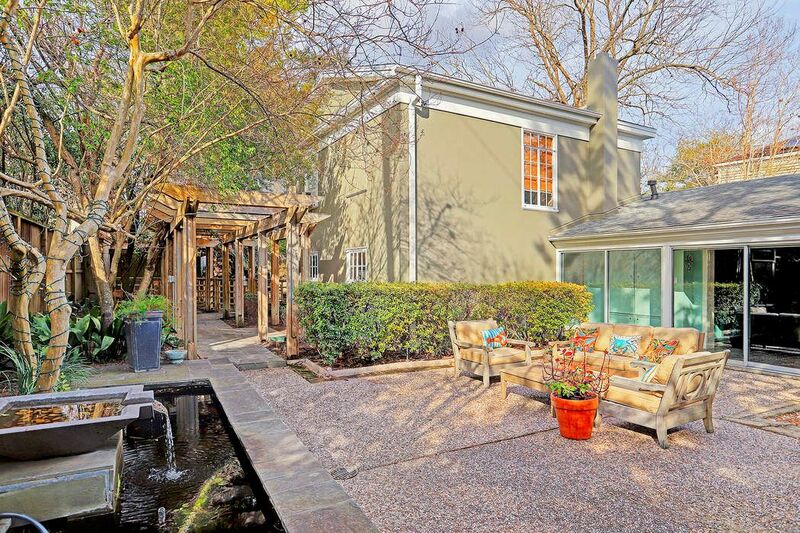 Fantastic opportunity to live in a beautiful historic home in River Oaks. 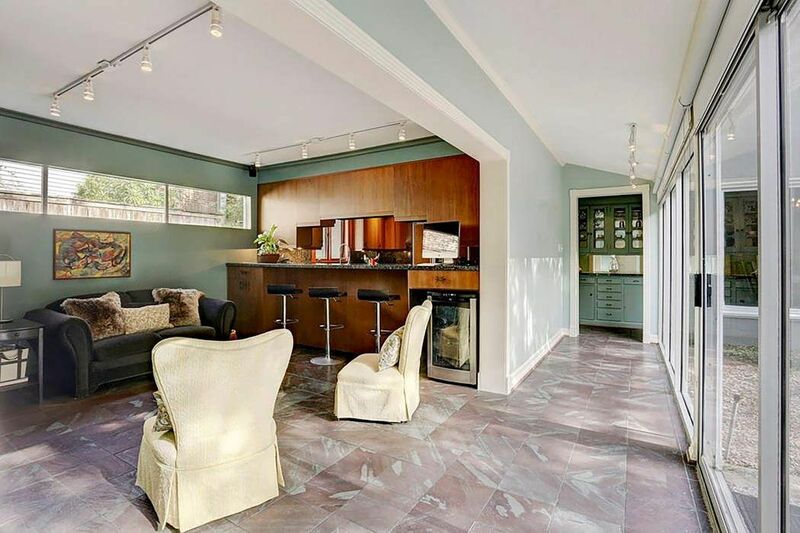 Designed by noteworthy Houston architect, Cameron Fairchild for his private residence, this light-filled property has a wonderful, flowing floor plan with perfectly proportioned rooms, charming original details, yet nicely updated for modern living. 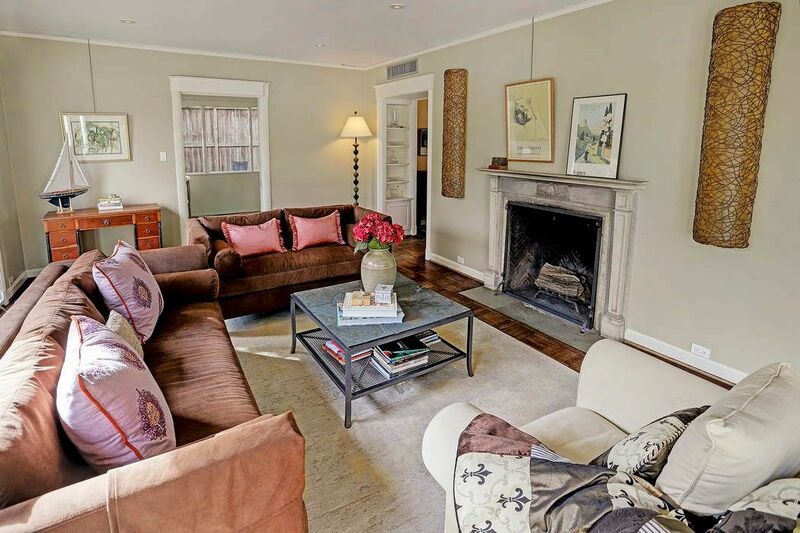 The formal living room offers solid oak parquet floors, oversized windows with fluted molding, recess lighting, picture molding and fireplace. 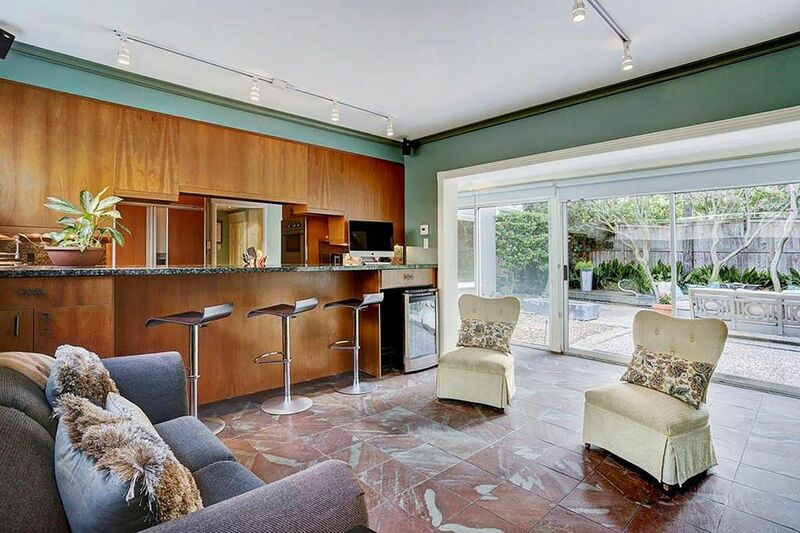 Elegant dining room overlooks landscaped courtyard with Koi pond. The kitchen has been nicely updated with abundant storage, granite counters and stainless appliances and is open to the large family room. Upstairs is a flexible floor plan with 3 bedrooms and 2 baths plus an extra room that would make a great study or playroom. There are also quarters in the rear of the house. 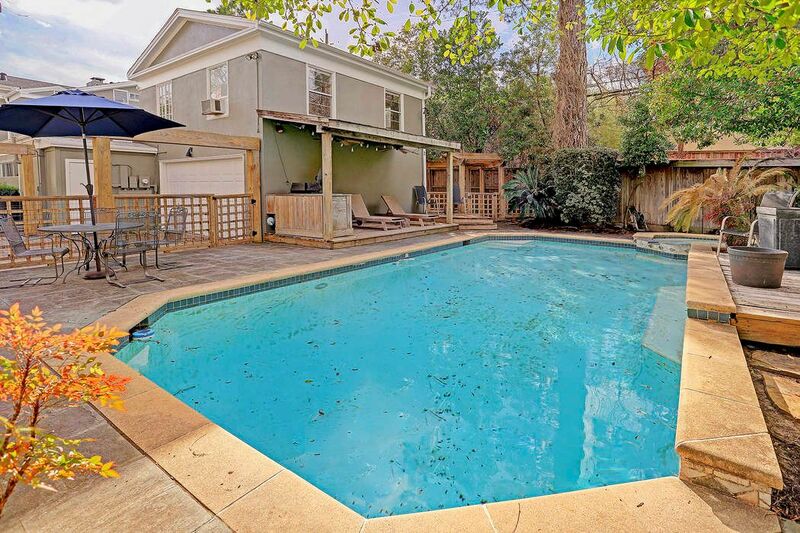 Lovely backyard with sparkling pool is a private oasis. All this just steps from River Oaks Elementary Park.